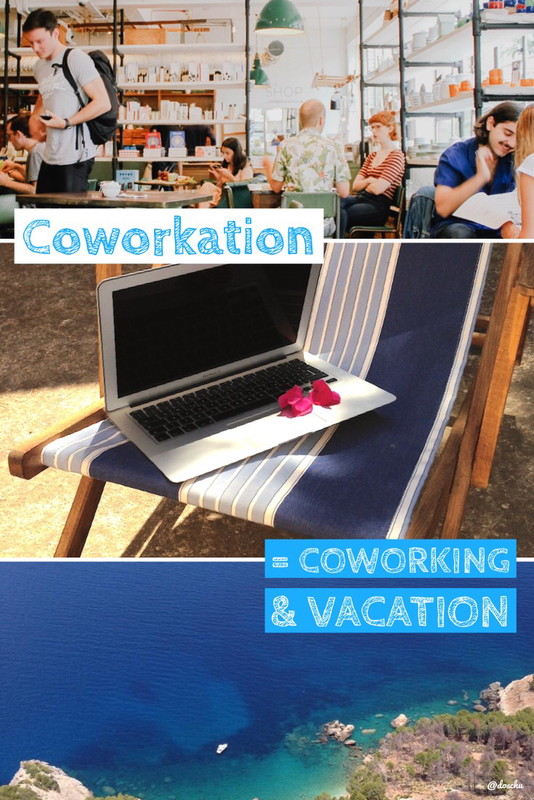 The made-up word ‚coworkation‘ connects the two words ‚coworking‘ and ‚vacation“ (holidays). So it’s about working (actually together) with others while coworkers are traveling. What do these coworkations look like, what are the advantages, and the disadvantages? It is important to me to emphasise that it is perfectly alright when someone says: I would like to go on vacation and switch off from everything else. Sure, why not? I wish it were different, but some jobs go hand in hand with a heavy work routine. Anyone who shapes his life as much as I do might want to travel differently. Simply because, for example, their professional lives are closely linked to their own preferences. And today, those interested can take care of their professional projects much more relaxed while exploring their surroundings every day and do unfamiliar things, such as snorkelling, picnicking on the beach, or stand-up paddeling on the sea. Eventually it will become boring to follow well-beaten tourism paths. To shoot the hyped ‚Instagram Top-Spot‘ photo with your own smartphone. To plunge from one ‚must see‘ location to the next. Discover slowness! Working for a month or a quarter from another country allows you to immerse yourself in the local culture at a different level. The idea: „Find yourself a hotel or a café with an Internet connection and you can be productive.“ In some hotels, this may actually be possible. In a hotel or hostel, however, we encounter a lot of disadvantages, which can then affect the sensitive topic of earning money: comfortable seating is rare, the mood of holiday makers is often boisterous, and a faulty Wifi and / or Internet connection is unfortunately standard. Both in a hotel and in a café the technical equipment and the online connectivity are usually simply not aligned with professional use. In a café, it is also logical to order drinks or food. In this version of a coworkation, there is no possibility to print and scan something. Not to mention a business level of exchange with other professionals. The idea: „Let’s charter a boat together with satellite Internet access and be productive together.“ Here, in any case, the topic of professional exchange with other experts or specialists is positive, but the tight spaces of a boat and especially the sea can be disadvantageous. The online connection via satellite takes some getting used to, so often there are only productive hours in port. Only in exceptional cases an exchange with local professionals may happen. The idea: „I’ll book a room in a coliving space and can work using a good Internet connection.“ This works and is safe planning for all those who need a stable internet connection to get their job done. The daily life together in the leisure time as well as during the work, can be felt as disadvantageous. Think of the issue of being close to others on a boat, as noted above. Depending on the space’s concept, there may be a link with the local community. The idea: „I’ll book / We’ll book as a group accommodation and get to work in a nearby coworking space.“ Best of both worlds: On the one hand, there’s private accommodation, and cooking or leisure activities can be designed very individually. On the other hand, the coworking space also offers a top-notch working environment with everything the professional life needs. In addition, there is a connection with local professionals and networks. When coworking hosts share their lives with coworkers, some coliving facets can be enjoyed, even if you spend the night in different places. Especially in this case, Mallorca should be considered, a beautiful finca in the countryside is built on formerly agricultural land. Unfortunately, there is only mobile internet coverage, a coworking space with fibre optic internet offers would offer much better online connectivity. Anyone who loves to draw a line between their private and professional lives will welcome a coworking space with fixed opening hours. Perhaps you can enjoy an after work drink with other experienced coworkers. The biggest advantage of Coworking lies in the community: meeting with other coworkers is the source for exchange, inspiration, support and cooperation on projects. In professional life, and especially as a freelancer, we need other people. They bring us further, they give us impetus, they help us to try new things, they share their knowledge, and we share our knowledge – a wonderful way to explore new facets of our own field of expertise or to get to know them for the first time. In spite of – or due to – our society being extremely geared to individual desires, these individuals yearn for belonging, for a tribe. Coworking is becoming more and more popular, because people meet regularly here: for coworking, for events, for learning in workshops or seminars – and also for eating together, doing sports or celebrating. With their open culture, coworking spaces enable their users to freely connect with other people in a network. This can lead to private friendships, career mentorings, assignments or new joint project ideas. 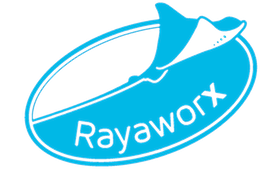 relax & work • When are you going to take a coworkation? 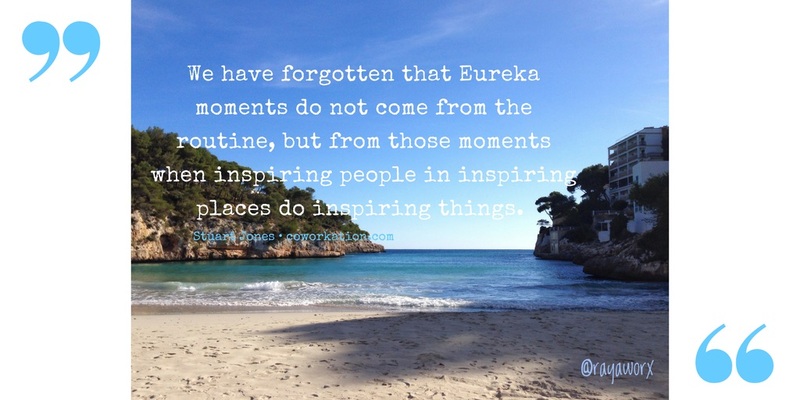 You are welcome to find Coworkation examples on our blog!